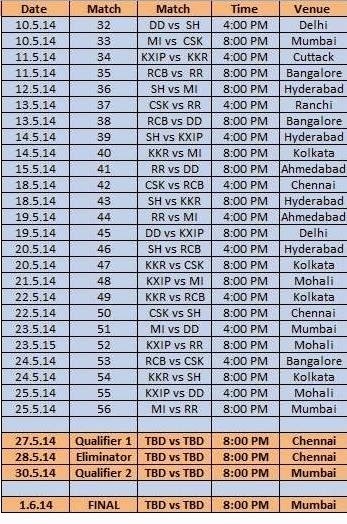 Indian Premier League 7 IPL 2014 is just 4 days away from us now as it is starting from 16th April. for the first time in history IPL is going to be played in United Arab Emirates. This is the 7th edition of of IPL. the last edition was won by Mumbai Indians. 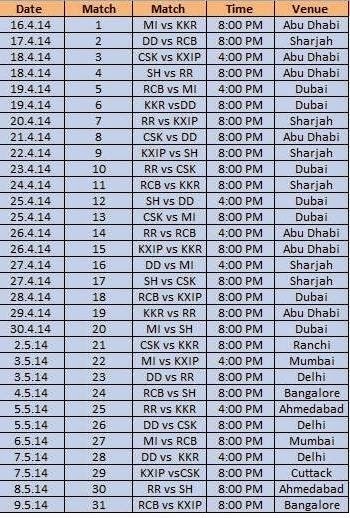 total 56 matches will be played from 16th April to 25th May 2014.